Early literary criticism was undisciplined. 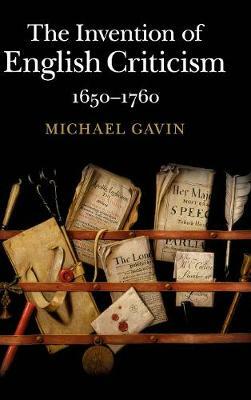 Unlike the staid essays and monographs of later academic scholarship, English criticism first appeared in the contentious world of the London theater: dramatists and other poets argued about their craft in contending prefaces and dedications, and their disputes spilled into the public sphere in pamphlet wars, mock epics, lampoons, and even novels. Across these forms, criticism was personal, political, and unconcerned with analysis for its own sake. Yet this unruly discourse laid the groundwork both for modern literary criticism and for the discipline of literary studies. The Invention of English Criticism explores the earliest uses of criticism and the attempts by some to convert a field of literary debate into an archive of useful knowledge. Criticism's undisciplined past thus illuminates its contested, ambivalent, and never fully disciplined present.